This year, three-way conferences went really well! Upon reflection, I believe there were a few specific reasons as to why. For the first time, my school decided to have three-way conferences before sending home written reports. This was an amazing adjustment to the typical school calendar! It allowed for the conversations during three-way conferences to be exclusively focused on learning, as opposed to grades. The week leading up to conferences I made sure to include information about both the purpose and structure of three-way conferences on our class blog. In the post I explained how conferences were going to work and I also included a screenshot about three-way conferences from Making the PYP Happen. I also shared the information about conferences from Making the PYP Happen with students. We read it together and picked out the parts we thought were important. I also explained to them the structure we were going to use and provided time for them to practice it with a partner. This year I tried a different approach to the structure of the actual conferences. I wanted a structure that guided the conversations, but was open enough to allow for reflection and discussion from all three perspectives (student, parent and teacher). Yet at the same time I wanted to ensure the short time we had together was not bogged down with writing. 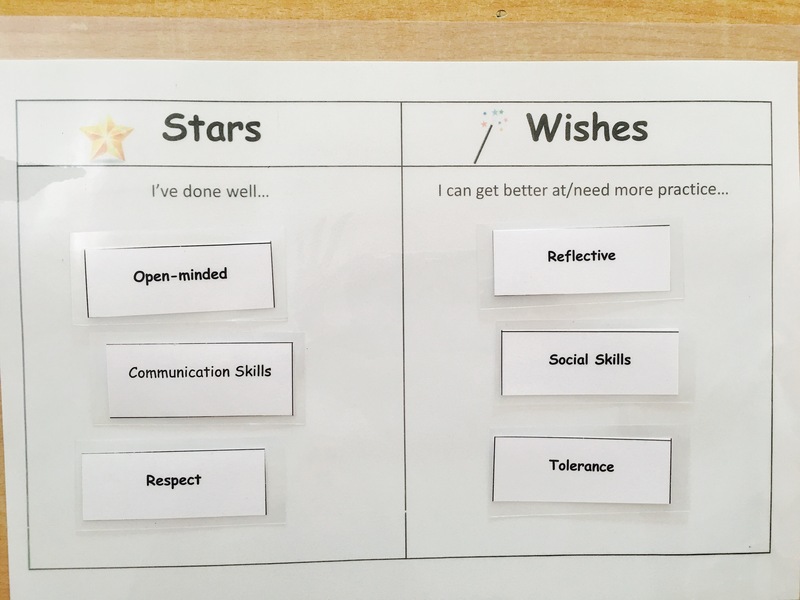 So I decided to use the “Stars and Wishes” structure which would guide reflective conversations about what the student had done well and also areas for growth and improvement. 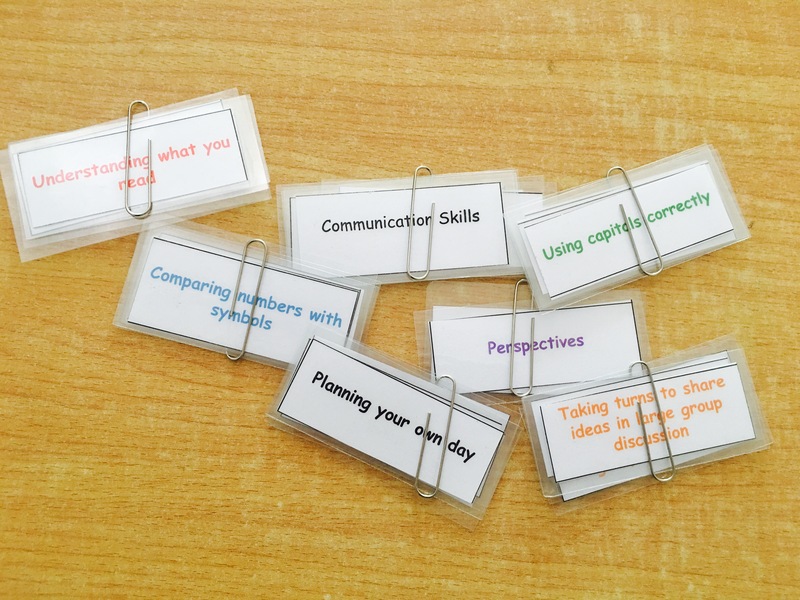 and I printed out and laminated little cards that contained both how we had been learning and what we had been learning. During the actual conference we followed the same three-step process for every group of cards. 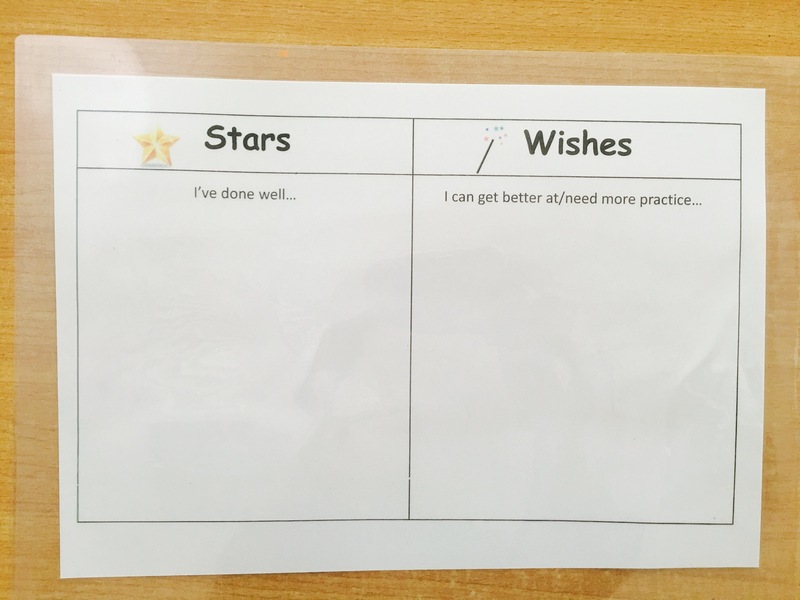 First, the student took the cards and sorted them into stars and wishes based on whether they felt it was something they had done well, or something they wanted to get better at. After they had laid out the cards for that group, they explained the reasoning behind their placements. Second, parents were invited to either agree with their child’s placement or make changes based on what they had seen or heard at home. If the parents made any changes, they were invited to share their perspective about their child’s learning. 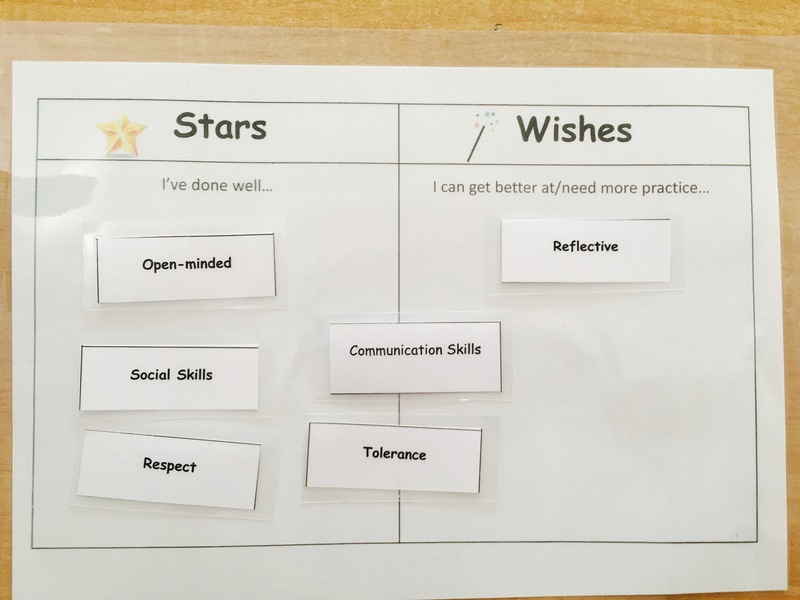 Finally, I as the teacher, was able to make any changes and share my perspective about the student’s learning based on what I had seen and heard at school. 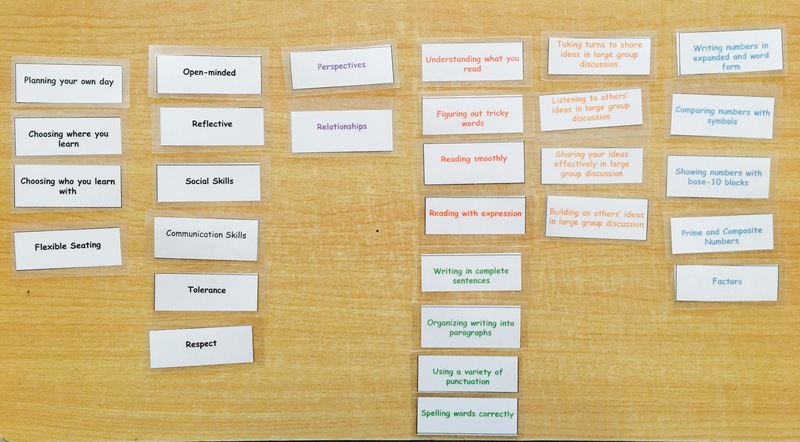 This structure provided a robust and holistic overview of the student’s learning. There were times when the student, their parents and I all agreed on the placements of the cards. And there were times when we all had different perspectives. There were times when the student felt something was a strength of theirs and the parents and I felt there was more room to grow, and there were times when the student felt unsuccessful at something but the parents and I perceived it as a huge strength of theirs! The cool thing was that no matter whether we were in agreement or disagreement, everyone’s perspective was welcome, honoured and respected as part of the discussion. 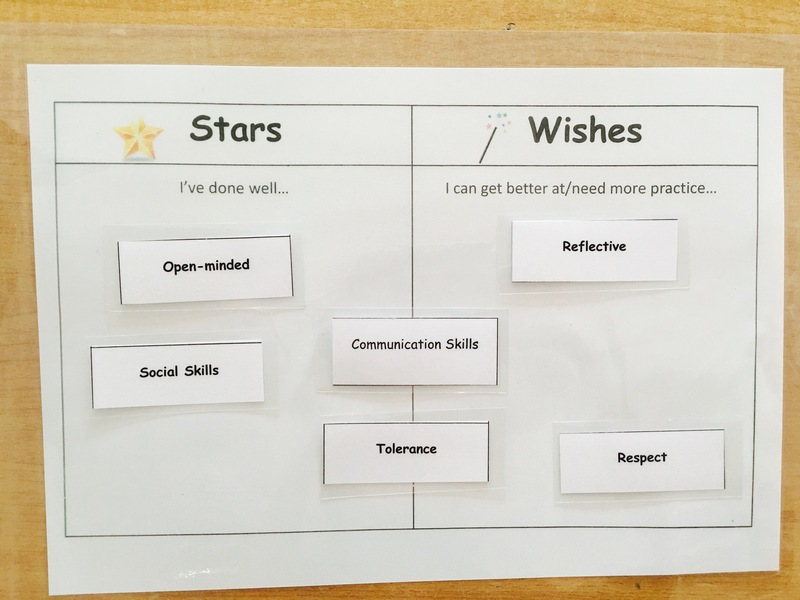 the focus was entirely on learning – not one mention of grades! I know there are probably many amazing recipes for successful three-way conferences! I would love to hear your feedback on my approach, as well as other, different approaches to structuring conversations about learning that honour and involve the three perspectives of student, parent and teacher. Please share!